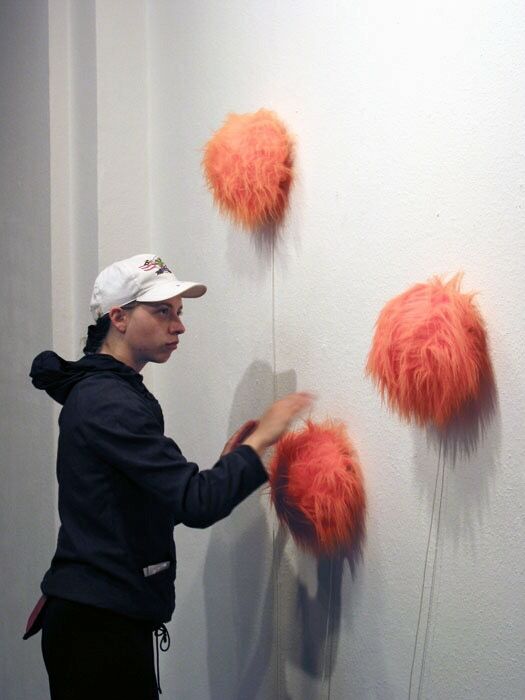 The interactive audio-kinetic object is a bright, orange and fluffy hemisphere. When approached, it become nervous, start to beep and move frantically. The Nervous body contain a Theremin. It is one of the first electronic music instrument in history, invented 1917 by Leon Thermen in Russia. The Theremin works electronically and provides an electromagnetical field which can be influenced by the dynamic body-capacity of the spectator. 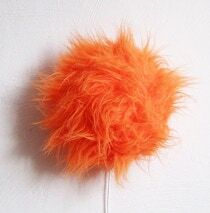 The changing frequencies of the theremin trigger the mechanic, the orange plush body starts to turn and a curious dialogue starting between the spectator and the object. Are the human emotions interfering with the emotions of Nervous ?